Light Up Doll – Cheryl Sleboda – Textiles. Technology. Texture. Teacher. 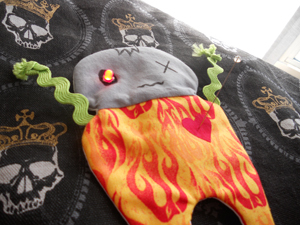 Make your very own “flat” eTextile doll that lights up when you poke him in the heart or squeeze him! This half day class will keep you in stitches as you learn how to put in the electronics that make him work!